Grinding Vice (UL-310), which rolls off our manufacturing unit, is made from high-grade alloy steel, in accordance with the standards. Its quality is excellent, which is ascertained by us in a foolproof manner. 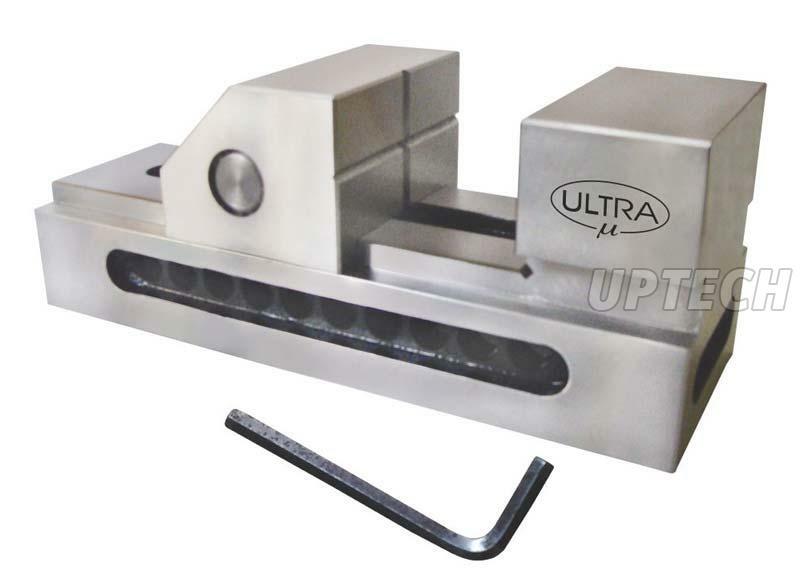 We are one of the preeminent Manufacturers, Exporters, and Suppliers of Grinding Vice (UL-310) from Maharashtra, India. Used for holding the jobs, Spark erosion operation, right angle grinding & Light machining. Made from high quality alloy steel. Accuracy for Flatness & Parallelism 0.010 mm / 200 L, Squareness 0.012 mm. Jaw Pressure on work piece is forward & downward for repeatable positioning & maximum holding power. All sides can be used as reference. Hardness 60 + 2 Rc & Tempered. "V" on moveable jaw for better gripping of round jobs. Special size can be manufactured on request. We also manufacture stainless steel grinding vice.